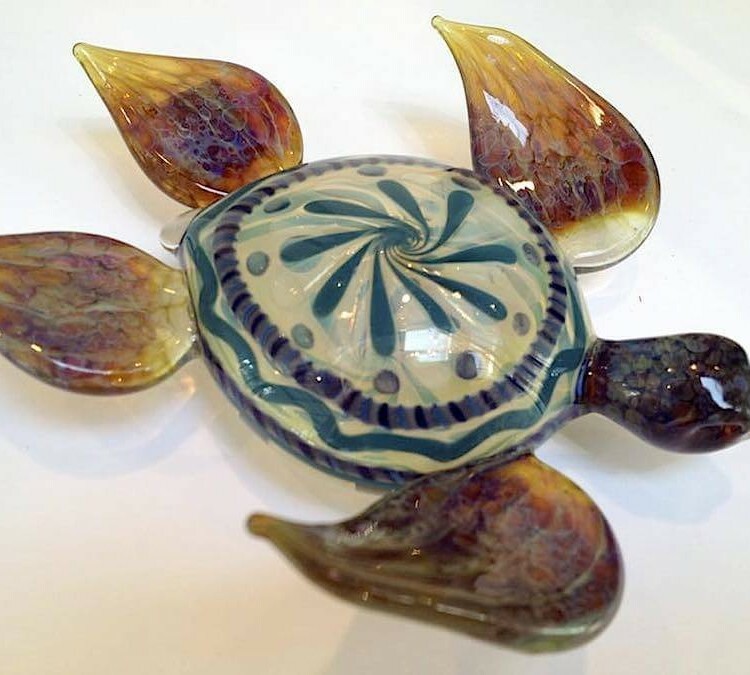 John Long is a local Glass Artist here in San Diego, California. 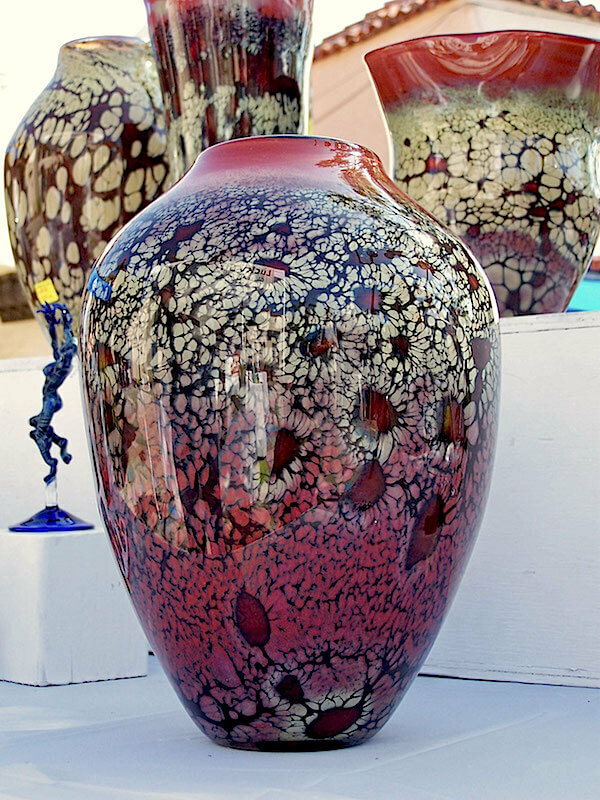 He was born in Brazil; but spent the bulk of his youth in Albuquerque, New Mexico, (which is where he started blowing glass). 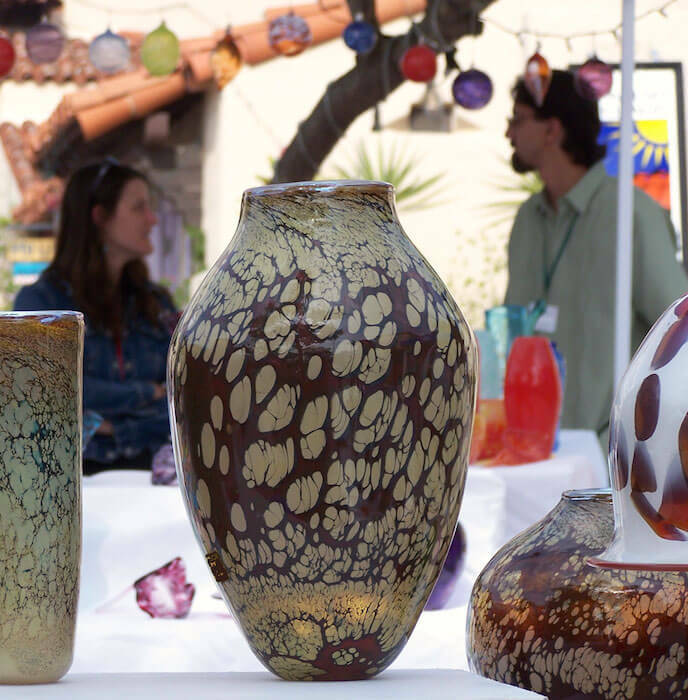 John moved to San Diego in 1999 and found his way to Ocean Beach which he fell in love with immediately. 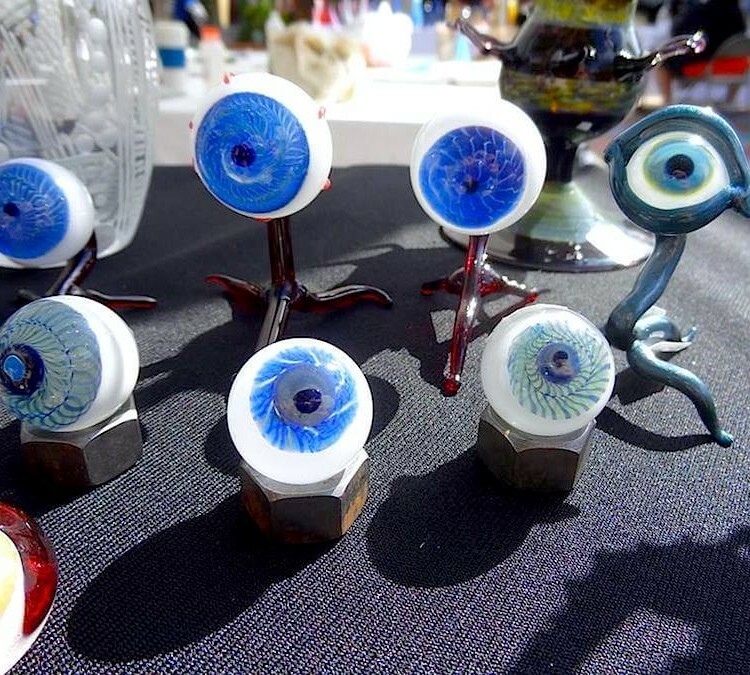 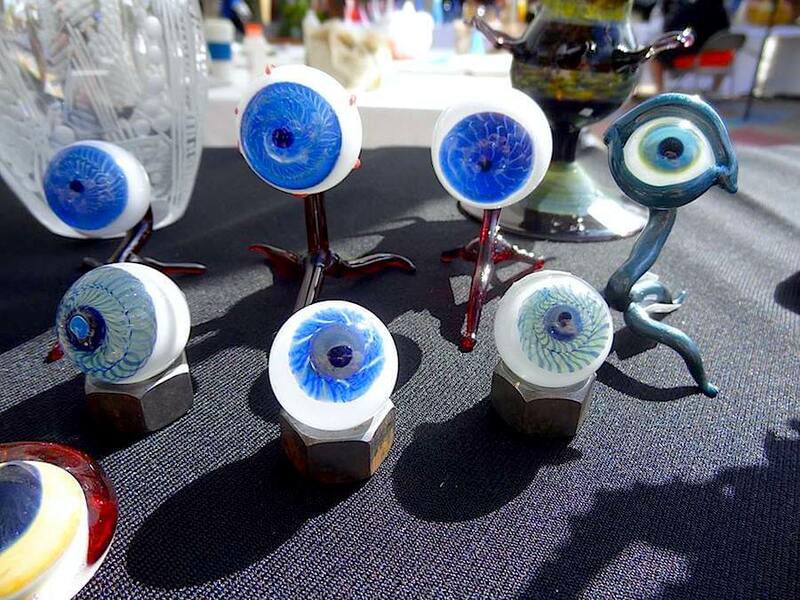 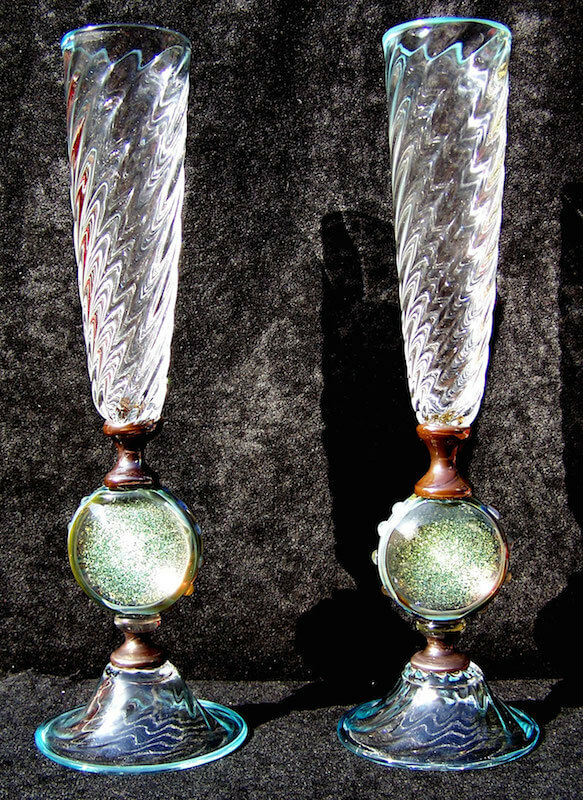 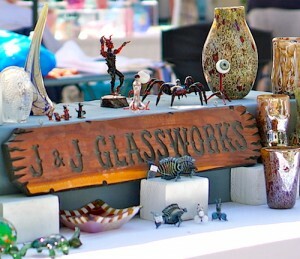 He has been involved in the Southern California glass scene ever since. 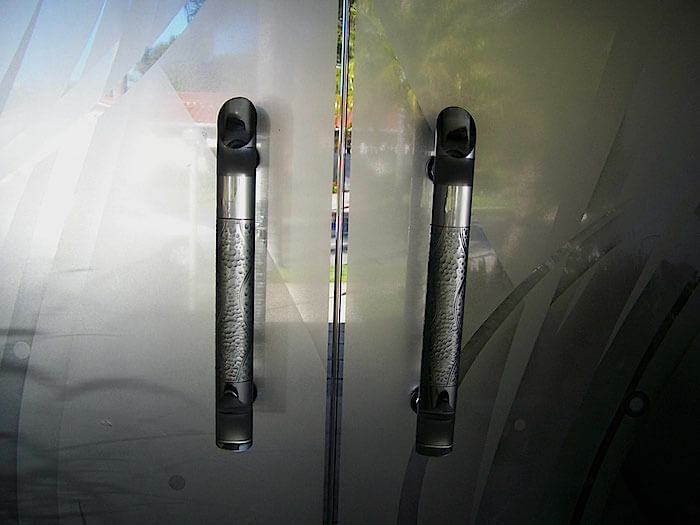 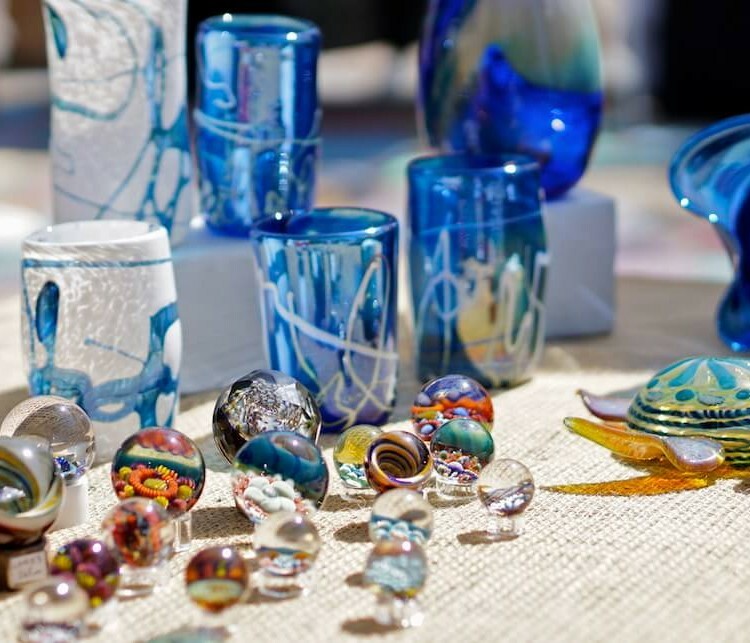 He is an affiliated artist with the Art Glass Association of Southern California. 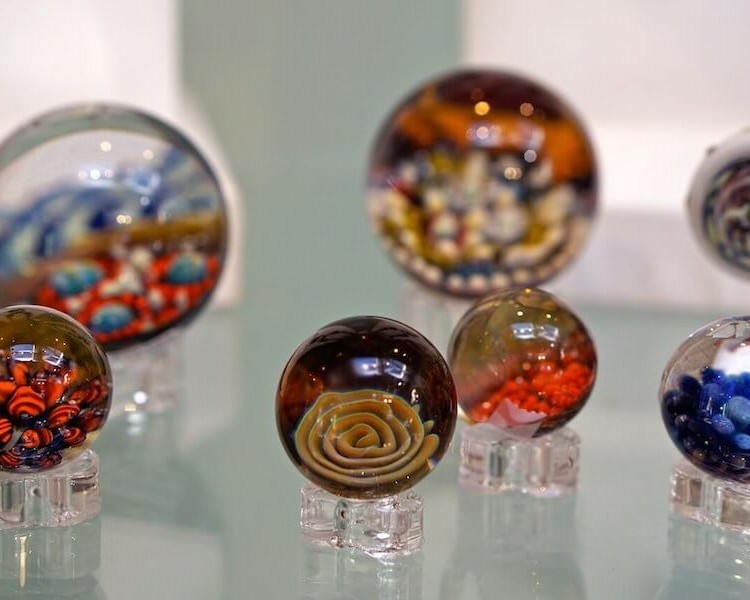 John is well versed in two very different styles of Italian glassblowing. 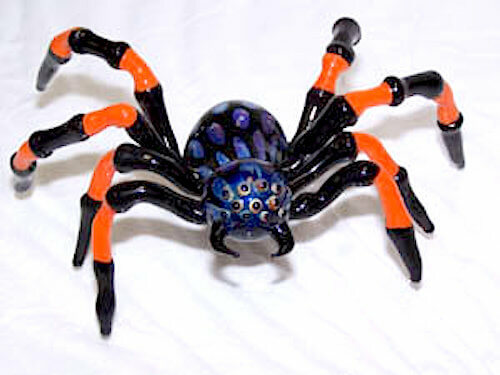 He does Lampworking, which is also known as Torch Working. 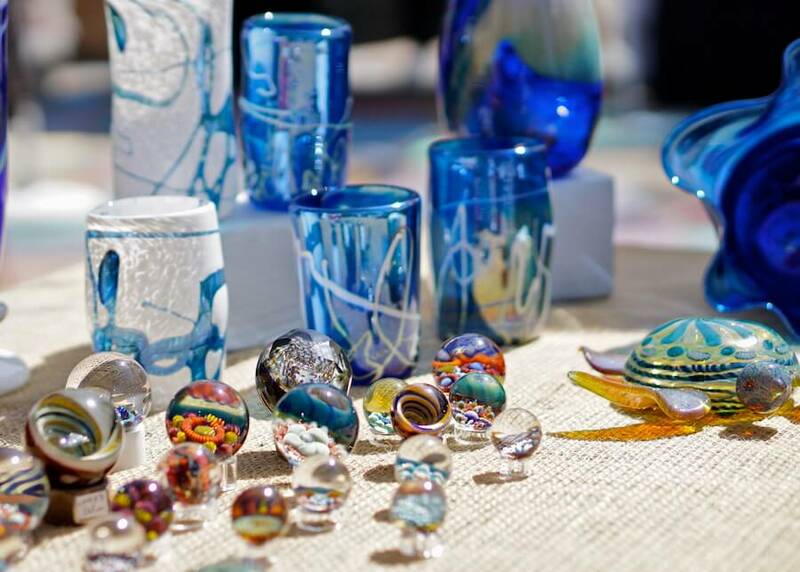 This style of glassblowing involves a torch on a bench top, and the glass starts out at room temperature and is heated up to working temperatures in the flame of the torch. 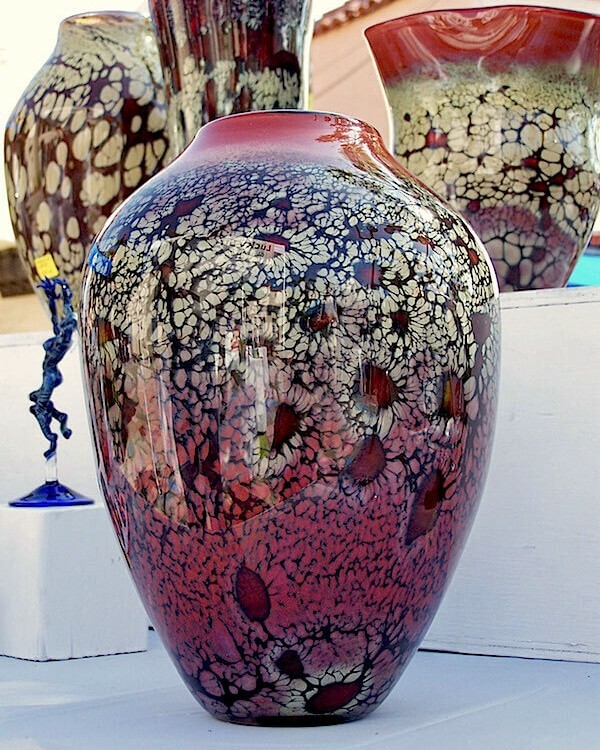 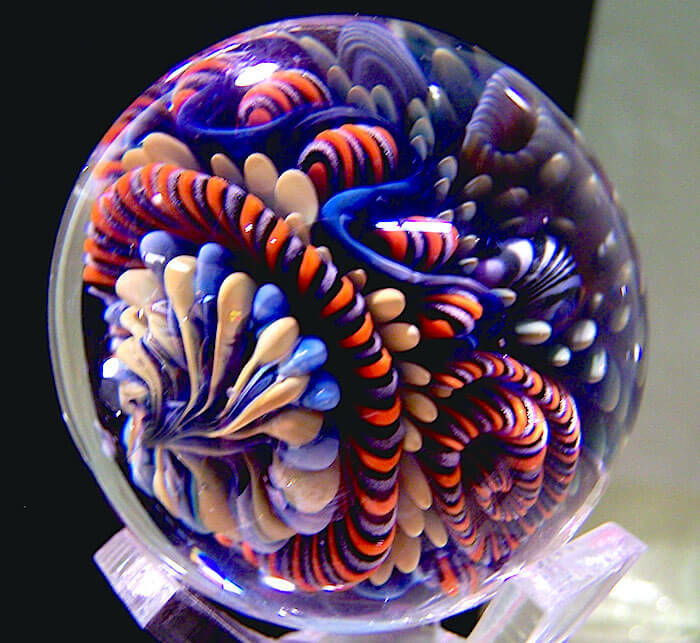 John also does Offhand Glass Blowing which may be referred to as Furnace Work. 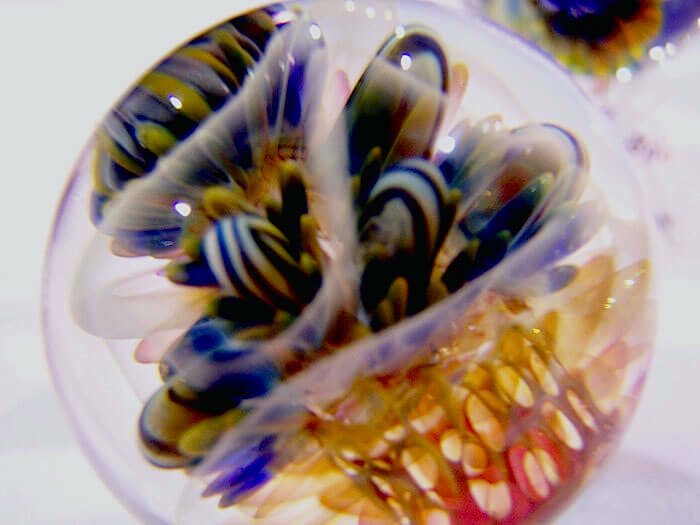 In this style of glassblowing the glass is gathered from a tank of molten glass (the furnace) on the end of a blowpipe or a puntil(pronounced punty) rod. 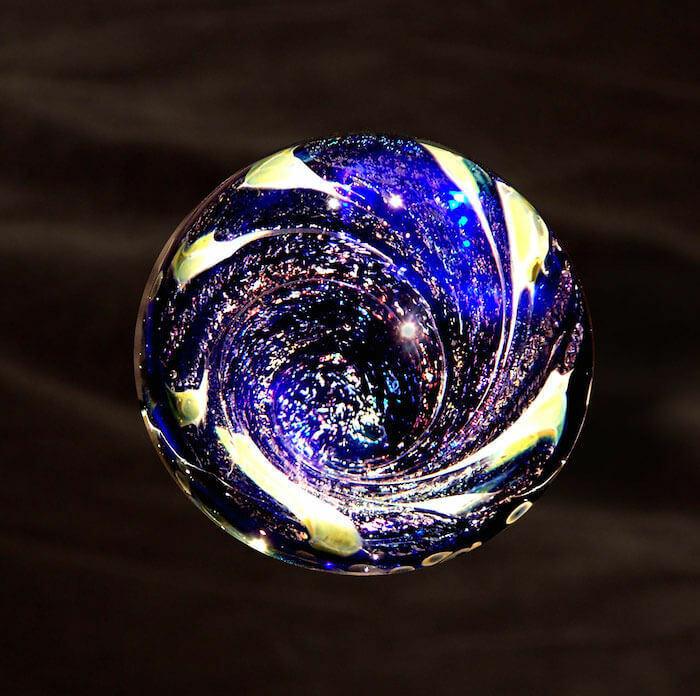 Then it is manipulated by hand and gravity, and reheated in the gloryhole(a large round trashcan sized hole of fire exceeding 2300 degrees), until the piece is completed. 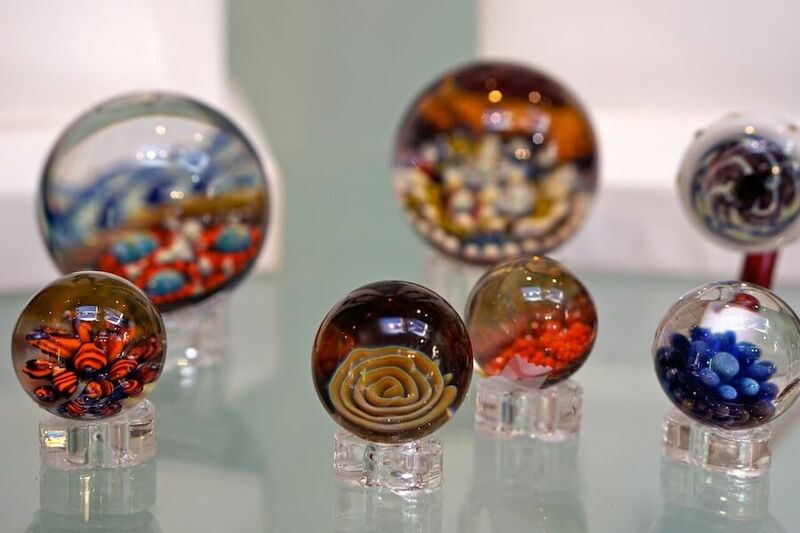 John Long has a genuine passion for Glass Art. 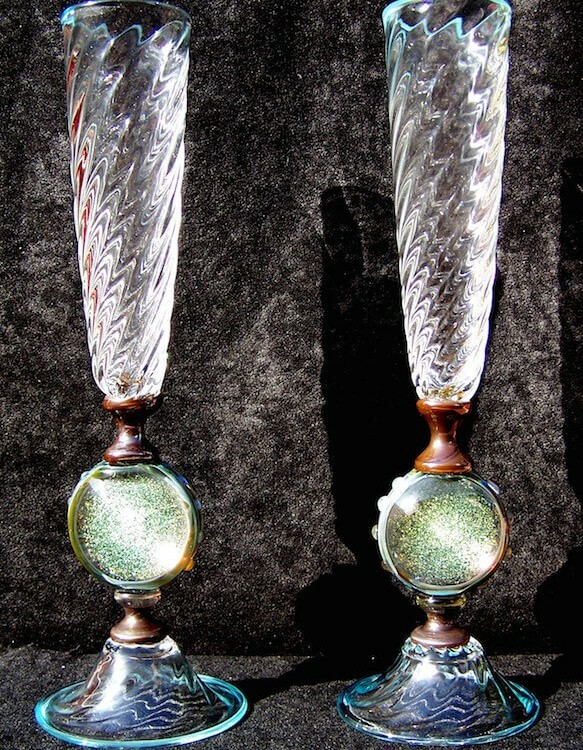 He possesses a natural knack for design, a passion for working with hot glass, and an obsession with form and function. 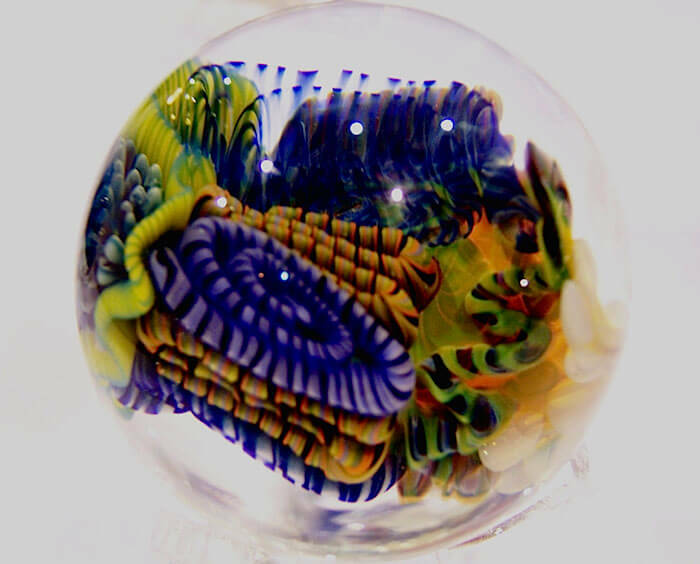 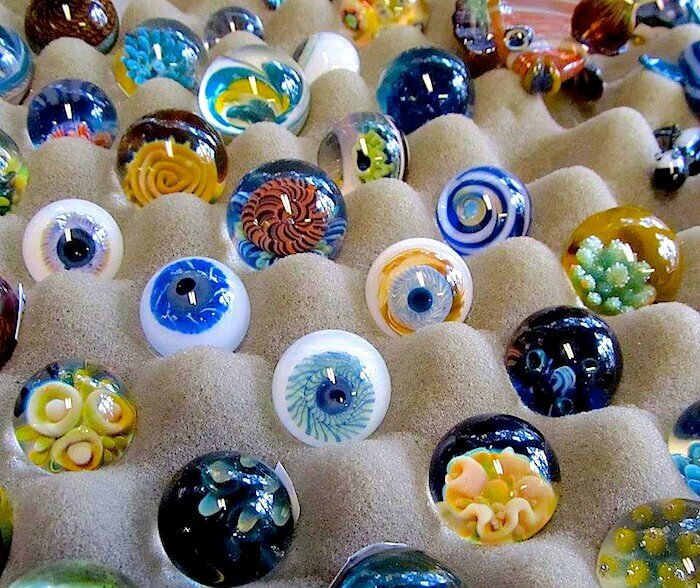 These qualities are evident in his glass art. 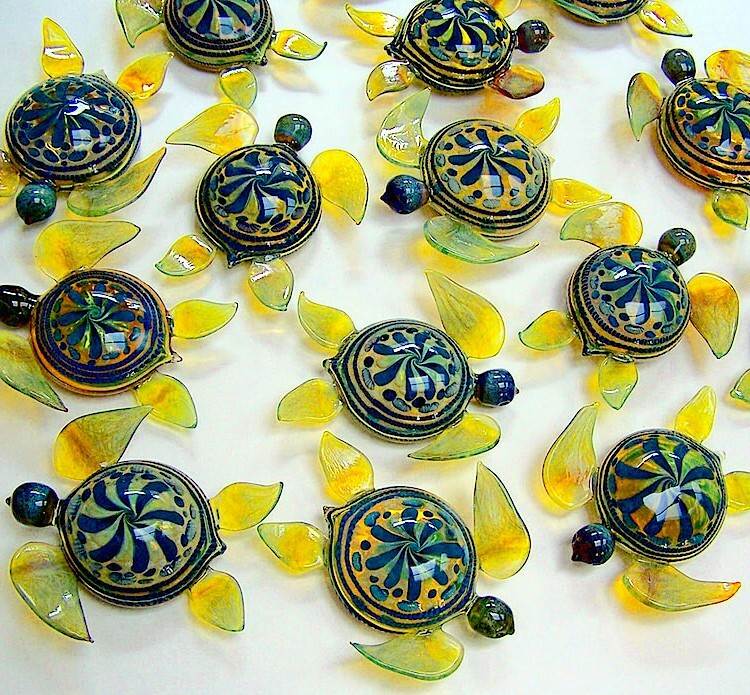 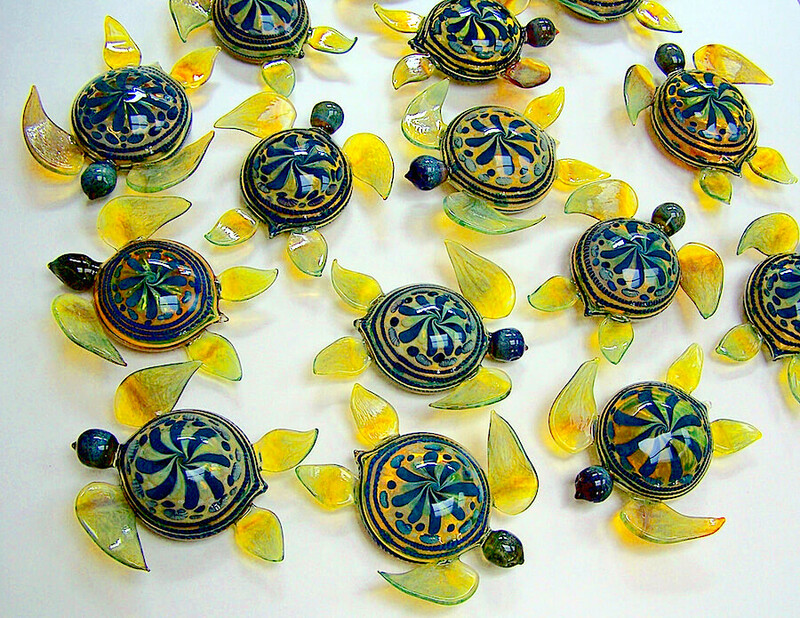 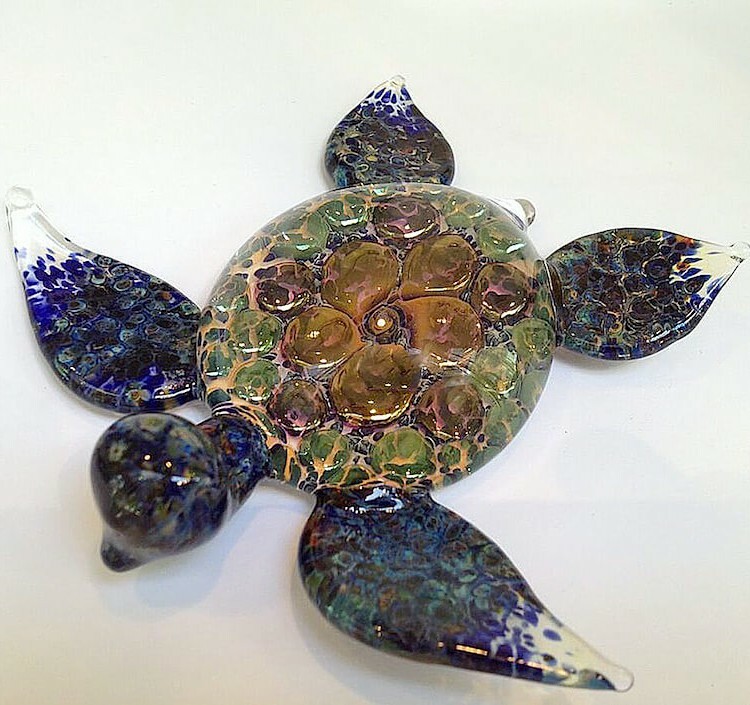 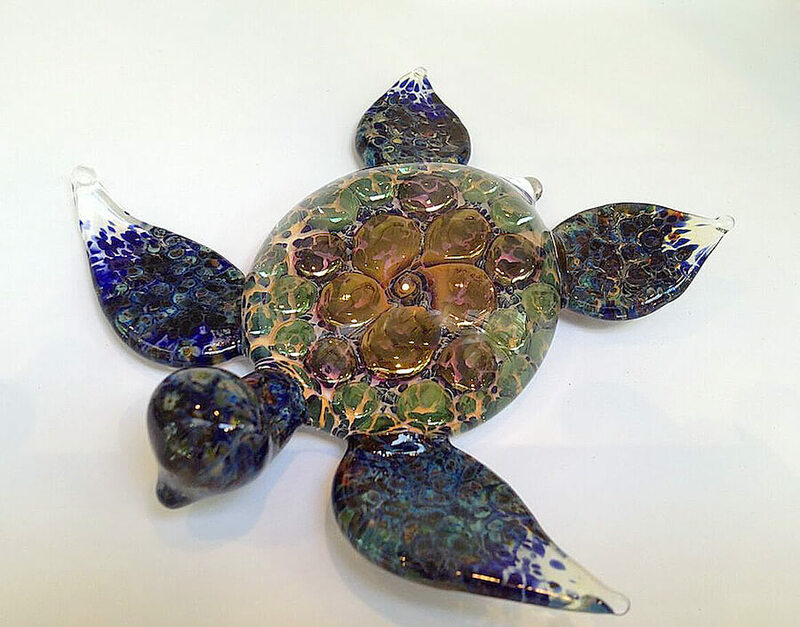 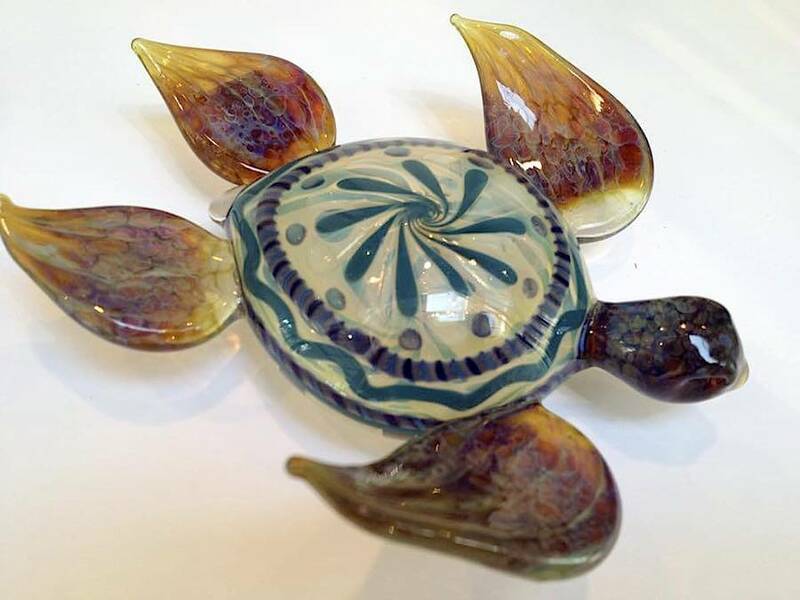 Teaching comes naturally to John, and he is happy to inspire other people to make glass art.